Are you looking for a fun way to entertain the whole family this summer? Do you like eating yummy food, looking at beautiful art, and learning about other cultures? 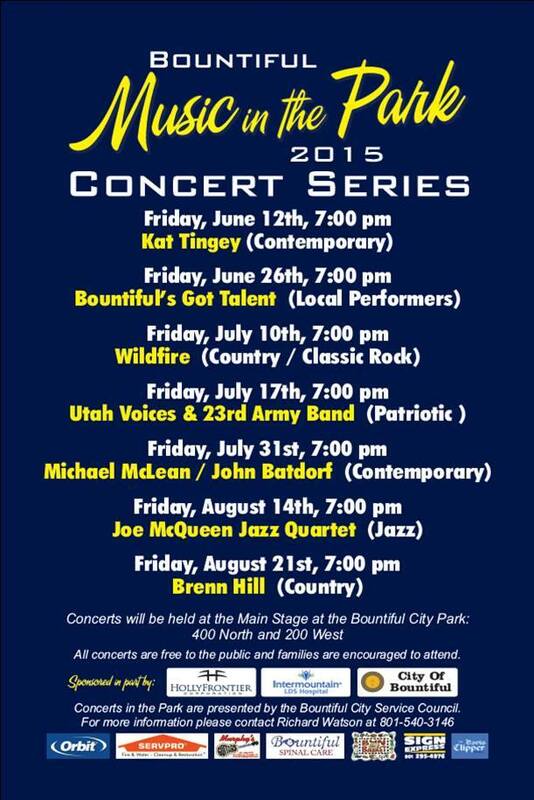 Head to Summerfest in Bountiful! 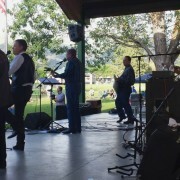 Bountiful/Davis Summerfest International was started by the Bountiful Davis Art Center (BDAC) in 1974 and has continued to provide entertaining summer fun for many years. BDAC is dedicated to bringing art and knowledge to our community in Davis and Weber counties. Summerfest was created to bring art, culture, and a sense of community to Bountiful and the surrounding area. 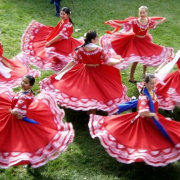 Over the years many international and cultural performances have been added to make this program one of the most unique, exciting, and educational summer events in the state. Summerfest kicks off with a street dance on August 5th. The festival follows through the weekend from August 6th to August 8th. Entry to Summerfest is free thanks to the generous support of Bountiful City. Everyone is welcome to attend Summerfest this year to enjoy the food, art, culture, and sense of community. If you’d like to experience what Summerfest is really all about, sign up to be a volunteer. You’ll get to experience Summerfest up close and personally, and you’ll be part of building your community. Volunteers are crucial to making Summerfest the amazing event that it is. Visit this link to sign up today and help make this Summerfest the best so far! Listening to fantastic life music in the open air, surrounded by your family and friends, is what summer evenings were made for. Doing this for free is even better! Come enjoy live performances, delicious food, and good company at the Bountiful City Concert Series. 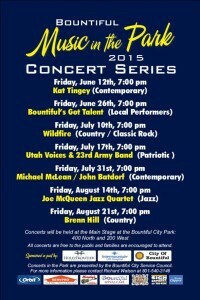 Bountiful City residents have already enjoyed fantastic performances by singer Kat Tingey and the band Wildfire. There was also a fun showcase of local talent during the Bountiful’s Got Talent event at the end of June. Prepare for Pioneer Day with lively patriotic music and fun Broadway tunes. Contemporary music legend John Batdorf and the beloved Michael McLean team up to bring vocals and guitar music together for the whole family. Utah’s own Joe McQueen brings his legendary sound to Bountiful. The whole family can enjoy this timeless music. Award-winning country star and Utah local, Brenn Hill brings country music to end the summer concert series on a high note. When: Friday evenings at 7:00 pm. What to bring: A donation for the food bank, cash for yummy food truck food, and your family and friends. For more information and updates, check out the event page on Facebook.